One of the most rewarding aspects of my role is having the opportunity to meet and interact with dedicated faculty, staff and students across WSU. I recognize and appreciate the effort each of you bring to WSU, contributing to the overall success of our university. 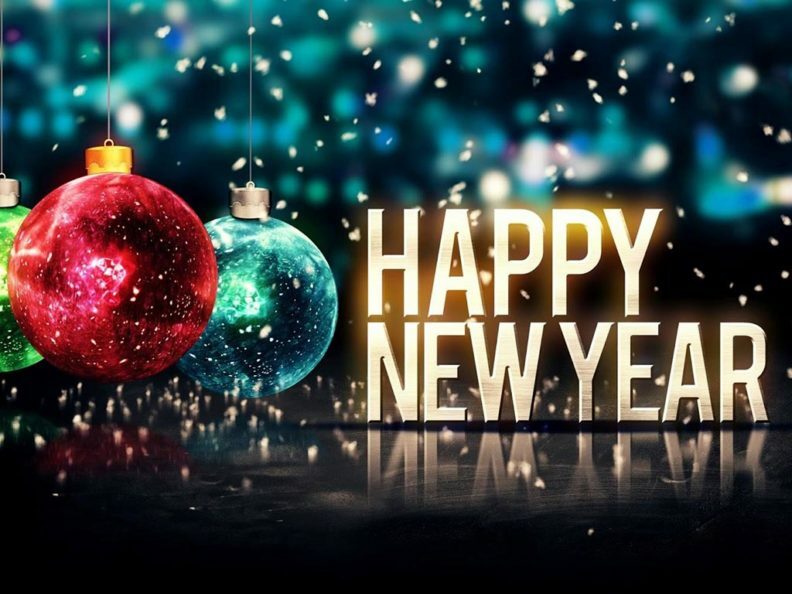 Human Resource Services (HRS) is committed to improving and enhancing employee satisfaction while providing a safe and welcoming work environment. We serve as an avenue for faculty and staff to communicate concerns and strive to provide solutions for improvement. The Employee Engagement Survey (EES) is conducted bi-annually and is an opportunity for faculty and staff to provide feedback on the workplace. The information gathered from the survey helps assess employee perceptions and concerns regarding the WSU workplace. The EES helps identify areas where WSU excels as well as areas needing improvement. The most recent survey was conducted in April 2018. The survey participation response rate increased to 44.7% participation, up from 28.7% in 2016. WSU executive leadership will develop action plans to address the concerns identified for their campus, college or area. HRS conducts an Exit Survey of employees leaving WSU. Faculty and staff separating from WSU are encouraged to complete the Exit Survey. This allows employees an opportunity to provide feedback on concerns regarding the work environment, university leadership and culture. Survey responses are analyzed and used to continue building the best possible work environment for our employees. In 2018, HRS moved from a paper to electronic survey and saw the response rate increase to 29.8%, up from 15.6% in FY17. Feedback from both surveys indicated the need for increased professional development offerings for faculty and staff. HRS will broaden the University’s efforts in learning and organizational development, while maintaining learning programs at no direct cost to departments and employees. The unit name for HRS Training and Development will change to HRS Learning and Organizational Development to reflect the University’s commitment to employee development and enhanced programs to meet University goals in a continuous learning environment. HRS will recruit for an experienced professional in Learning and Organization Development to develop best in practice offerings for WSU faculty and staff system wide. Feedback from the surveys reference the need to improve transparency and understanding of compensation at WSU. HRS will recruit for an experienced compensation professional to review existing compensation practices at WSU. The efficiencies WSU will gain with the modernization of our HR systems will allow for improved data analysis. By utilizing higher education survey data from the College and University Professional Association (CUPA) and Payfactors, an industry leader for market data, the compensation professional will develop resources to assist employees and managers with compensation decisions and best practices. WSU has a longstanding history of celebrating faculty and staff dedication and longevity. HRS is committed to expanding access to university celebrations hosted by the Employee Recognition Program. HRS launched a two-year pilot program fall 2018 to allow the annual Employee Recognition Reception and Quarter Century Club Celebration to be live video streamed to enable faculty and staff to view these events system-wide. HRS coordinated viewing parties at WSU Everett, WSU Spokane, WSU Tri-Cities, and WSU Vancouver to provide employees the opportunity to join the celebrations at the location of their choice. This modification expanded participation throughout the WSU system. We hope you join us at the upcoming Employee Recognition Reception on Tuesday, February 12, 2019, from 3:30 to 5:00 p.m. at one of the campus viewing parties or in the M.G. Carey Senior Ballroom, WSU Pullman. 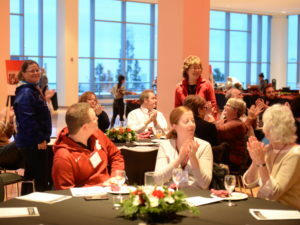 This event will celebrate WSU faculty and staff who reached milestone years of service in 2018, as well as the 12 Crimson Spirit Award recipients in 2018. Approximately 850 employees will be honored. 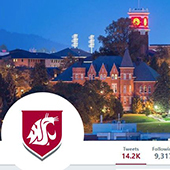 HRS launched a WellCoug Advisory Committee in December 2018, with representatives participating throughout the WSU system. WellCoug offers WSU employees and their families a wide range of resources to support their physical and mental health. Through WellCoug, employees can receive help in accessing education, identifying resources, developing skills, and making healthy choices. HRS highlights the people, culture, and community which power the university on Facebook, Twitter, and LinkedIn, and shares faculty and staff vacancies submitted through OPDRS on a daily basis. Follow our HRS social media accounts. HRS staff are out-and-about on campuses, extension sites and research centers providing training, information and meeting with faculty and staff. 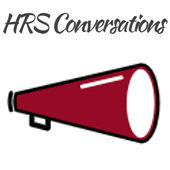 Look for “HRS Conversations” when I’m on your campus to schedule an individual or department meeting with me.